Ed anche quest’anno, il momento tanto atteso è finalmente arrivato!!! Beh, non è semplice da spiegare, provate ad immaginare tre giorni di festa continua, con oltre 3500 erasmus provenienti da tutte le sezioni ESN d'Italia in uno dei posti più conosciuti in Italia ed in tutta Europa per il divertimento, le feste, le discoteche. Quest'anno andremo nella mitica RIVIERA ROMAGNOLA a RIMINI... e ci saranno Dj di fama internazionale! 3 giorni, di mare, sole, feste, feste, feste, musica, dj, e tanto, troppo divertimento!!! Per capire meglio, date un'occhiata al VIDEO TEASER di quest'anno ed a QUESTO VIDEO realizzato da ESN Bologna! Ma ora, eccovi il programma!!! Partenza per Rimini in bus giovedì 16 maggio verso le 9:00 di mattina, e verremo portati direttamente presso il nostro hotel. Al pomeriggio: Beach Party con DJ set: FLAG PARTY!!! La sera: Party in Discoteca! Al pomeriggio: Beach Party con DJ set: COLOR PARTY!!! Al pomeriggio: Beach Party con DJ set: PIRATE PARTY!!! Ci sarà anche la possibilità di utilizzare le strutture per beach volley / beach soccer! Viaggio Bologna - Rimini andata e ritorno in bus. Trasporti A/R dall'hotel alle feste in spiaggia ed alle discoteche. T-shirt EN 2019 Special Edition per gli Erasmus di Bologna. Le cene per i giorni di giovedì, venerdì e sabato. Le colazioni per i giorni di venerdì, sabato e domenica. Le notti di giovedì, venerdì e sabato in hotel. Le 3 feste pomeridiane (in spiaggia) dal giovedì al sabato. Le 3 feste serali dal giovedì al sabato in discoteca. Tutto questo per 210€ (solo 190€ per chi partecipa anche allo SPRING BREAK 2019 in Croatia - OPEN BAR / BARRA LIBRE di VODKA LEMON !!!) + 100€ di cauzione per le stanze, che se non si verificheranno danni (e non si verificheranno, perché voi siete bravi!!!!! ), vi sarà restituita. N.B. La fee è unica, e comprende il viaggio completo, così come vi è stato appena descritto. Non è assolutamente possibile iscriversi solamente per le feste o per alcuni giorni soltanto. A questo punto, inizia il conto alla rovescia per l’ora X. Aspettiamo le vostre numerosissime iscrizioni, sperando di riuscire a portare più gente possibile!!!! And this year as well, the moment that you've all been waiting for has finally arrived! 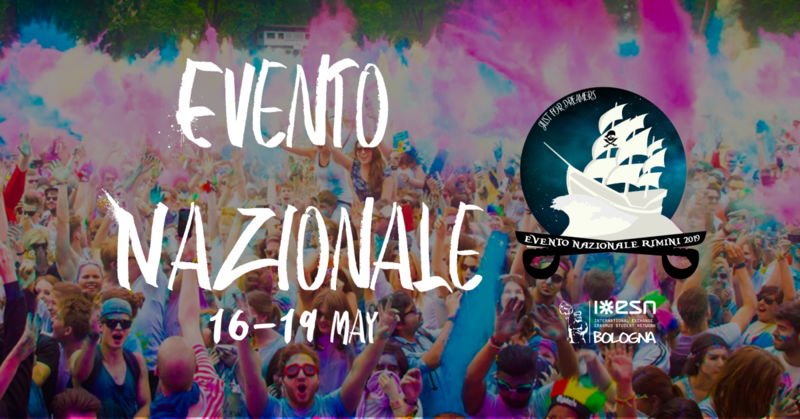 Well, it's not that easy to explain, try to imagine 3 days of continous partying, more then 3500 Erasmus from all the ESN sections in Italy, in one of the most popular places in Italy and all Europe for fun, parties and clubs. 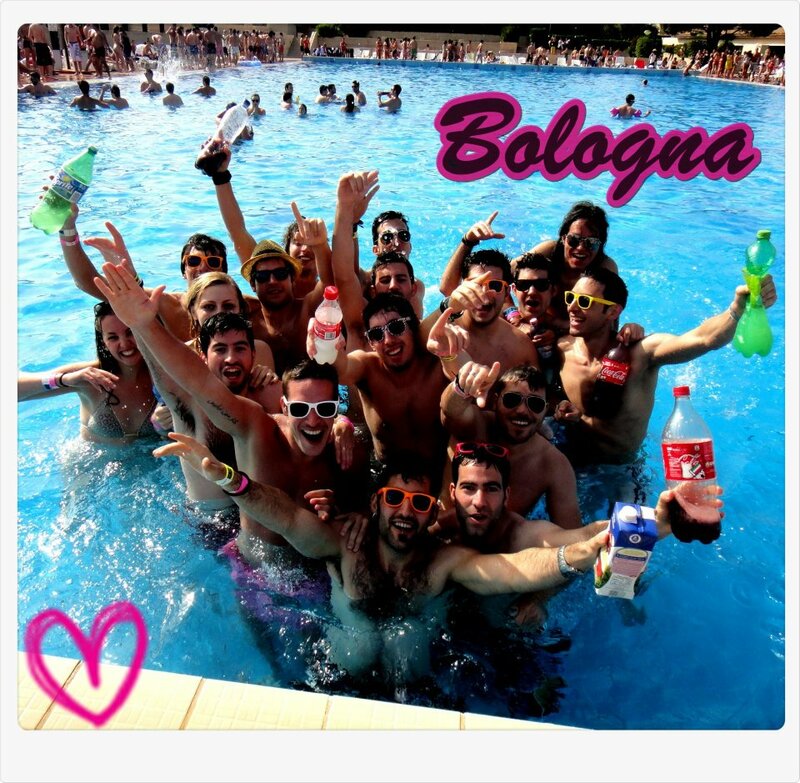 This year we're going to RIVIERA ROMAGNOLA in RIMINI... and there will be Djs famous all around the world! 3 days of sea, sea, sun, party, party, party, djs, music, and a lot, maybe too much FUN!!! 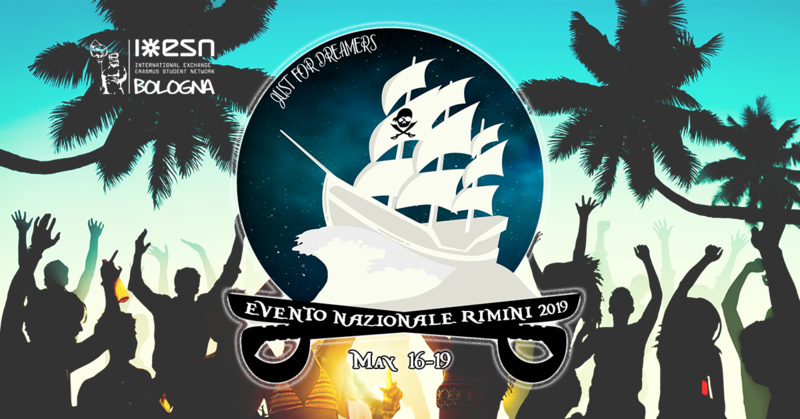 To better understand, take a look at the VIDEO TEASER of this year and at THIS VIDEO realized by ESN Bologna! But now - here's the program!!! Departure for Rimini by bus on THURSDAY, May 16th around 09:00 a.m., and we'll head directly to our hotel. In the afternoon: Beach Party with DJ set: FLAG PARTY!!! In the evening: Disco Party! 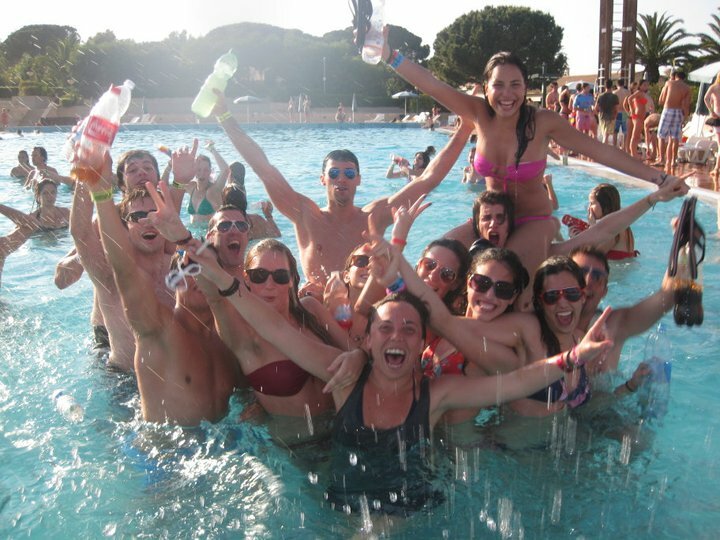 In the afternoon: Beach Party with DJ set: COLOR PARTY!!! In the afternoon: Beach Party with DJ set: PIRATE PARTY!!! We will also be able to use the facilities for beach volleyball / beach soccer! Bologna - Rimini roundtrip by bus. Roundtrip trasportation by bus between the hotel and the beach or clubs. EN T-shirt 2019 Special Edition for the Erasmus from Bologna. Dinners for the days Thursday, Friday and Saturday. Breakfasts for the days Friday, Saturday and Sunday. The nights of Thursday, Friday and Saturday. The 3 afternoon parties at the beach from Thursday to Saturday. The 3 night parties from Thursday to Saturday. All this for 210€ (only 190€ for those attending also SPRING BREAK 2019 in Croatia - OPEN BAR / BARRA LIBRE di VODKA LEMON !!!) + 100€ as a deposit for the rooms, which will be, if there won't be any damages (and there won't be!!! ), given back to you. Note: The fee has to be understood as a whole, it contains the whole journey as just described to you above. It's absolutely impossible to subscribe only for the parties or for just some days. At this point, the countdown starts. We're awaiting your numerous subscriptions, hoping to be able to take with us as many people as possible!!! !